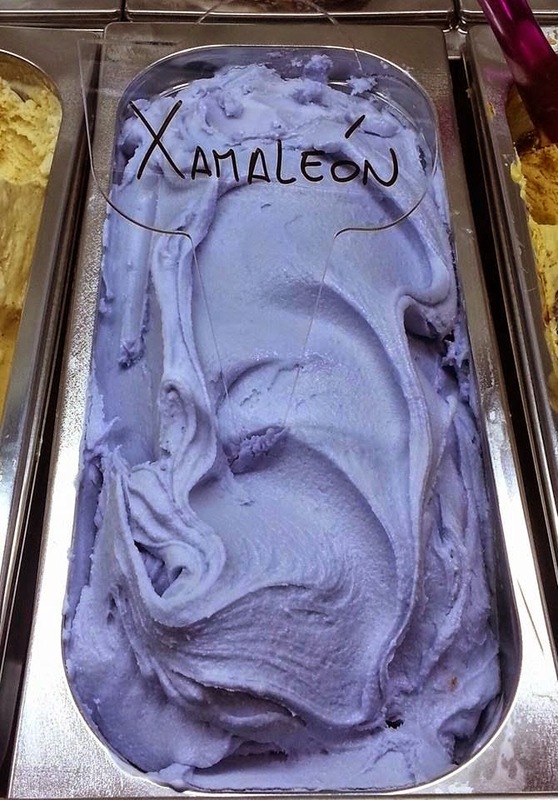 Xamaleón is a flavour of ice cream created by Manuel Linares, a Spanish chef and physicist. Its name is a variation of the word "chameleón" which is, you guessed it, the chameleon in Spanish. Chameleons are lizards capable of changing their colour according to the environment they find themselves in. 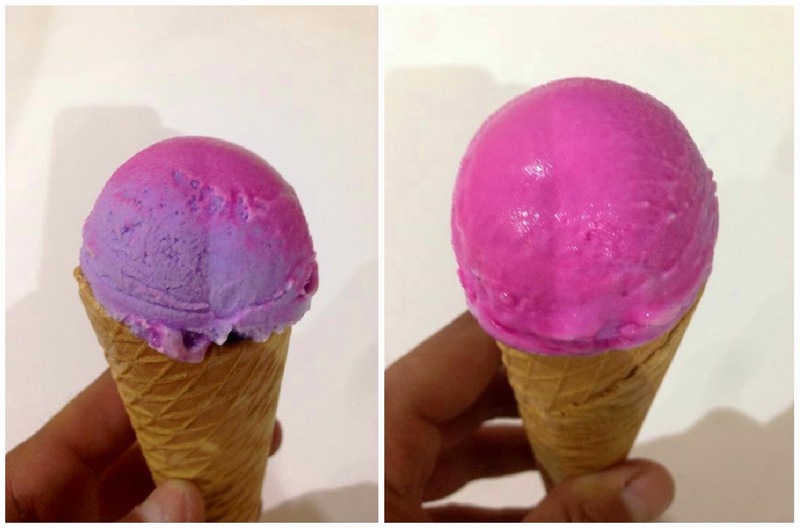 This ice cream does a similar thing. Its initial colour is this bluish/purple one. While eating it, it gradually changes until it becomes fully pink. This sorcery is due to the change of temperature as the ice cream is melting and reacts with its eater's saliva. The recipe is secret, but it tastes like tutti-frutti and if you want a try, you have to visit Barcelona.